Mod The Sims - "We need more Lemon Pledge" - Family Guy's Consuela! 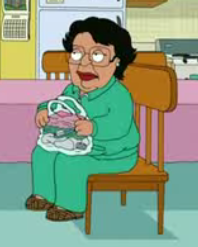 "We need more Lemon Pledge" - Family Guy's Consuela! 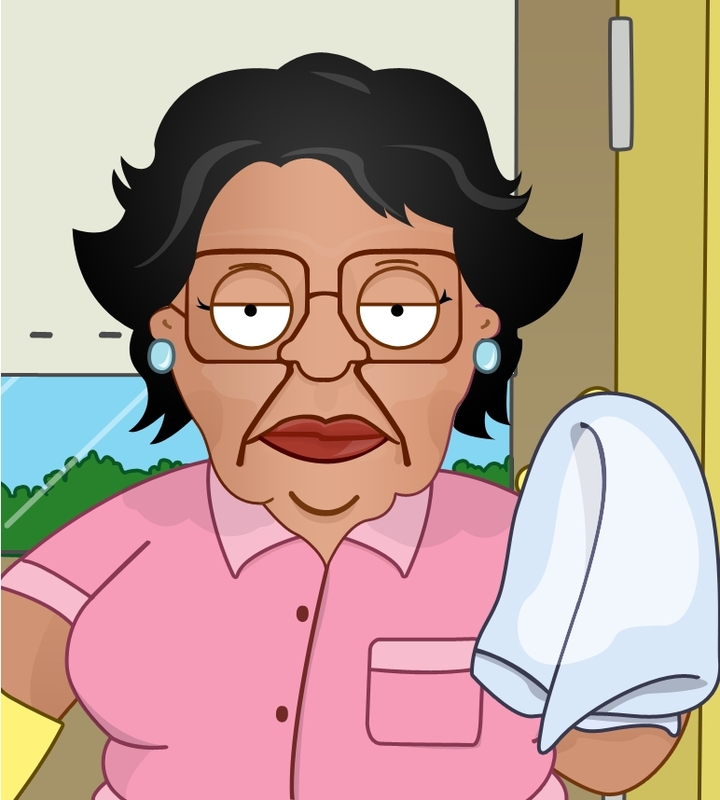 In case you don't already know, Consuela is a fictional Hispanic maid from Family Guy, and head of the Maid's Union. She never smiles, always has an uninterested look in her eyes, has a tendency to steal and is as stubborn as they come. She also speaks in broken English, and requires a constant supply of Lemon Pledge to clean. Being one of the only characters on the show that consistently makes me laugh, Consuela simply had to be made as a Sim. Thankfully, she has a comparatively realistic appearance, making for an easy transformation from cartoon character to Sim. I originally gave her the French Maid's outfit, but the apron looks horrid on women of a larger frame, so settled for a single item of Store clothing. She loves Latin music, Pink and Stu Surprise. She is a Neat, however Inappropriate, Kleptomaniac, with a high Frugality index and a lack of a Sense of Humor. She requires many slider hacks, some still in testing, but have caused no issues for me or my game, so far. Her hands, however, tremble ever so slightly, but is only visible when zoomed waaay in. The only qualms that I have with her appearance are her hair and her rubber gloves, but I couldn't find any better.